Iconic and edgy, the Tolix Chair has a raw, industrial style which works beautifully in any room in your home and can also be used in your garden. Constructed from powder-coated high quality steel, the Tolix Chair is waterproof, stackable and strong enough to last a lifetime. With a vintage appeal that will only improve with age, the metal of the Tolix Chair provides a perfect contrast to rustic wood and exposed brickwork. 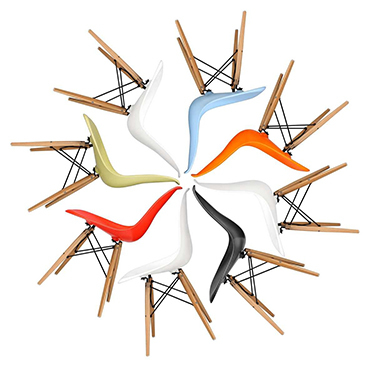 The classic Tolix Chair is a further development of Pauchard’s Tolix A Chair. Designed almost 10-years later, the Tolix Chair has a straighter back with small strips along the seat. Like all Pauchard’s designs it was inspired by a desire to produce high quality, practical household furniture that met the functional needs of everyday life. Pauchard believed furniture should be able to be used in any situation, both indoors and out. The gaps in the seat were specially included to help drain water when it rained. "A man possessed of an understanding of raw materials - and the tools used to work them."